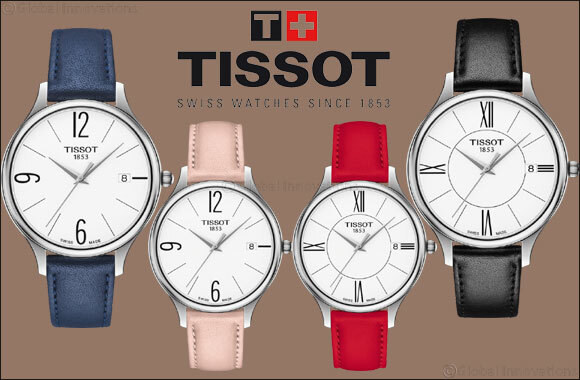 Inspired by the tasteful Mediterranean style of the Bella Ora, the Tissot Bella Ora Round remains faithful to the original, but adds exciting new design quirks for a new and revitalised look. A case that is rounder and bigger than its predecessors means the pure dial offers even greater readability, with Roman numerals and indices adding a sophisticated edge. Still recognisably a Bella Ora, thanks to the familiar lugs, the overall effect is cool and contemporary. A welcome change Fashionistas will be pleased to hear that each reference of this on-trend new collection comes with two interchangeable bracelets which will perfectly suit any outfit and this beautiful watch, inspired by the fashionable scene in Italy, will make a subtle statement whichever one you choose. Whether worn day or night, the fuss-free dial and understated, classic overall effect means this watch will always make a flawless accessory.